Applicants to Villanova's MBA programs must submit an online application, official transcripts for all post-secondary academic work, an official GMAT score report, two personal essays (at a maximum of 600 words each), two letters of recommendation, and a professional resume. International students who earned undergraduate degrees in a country where...Applicants to Villanova's MBA programs must submit an online application, official transcripts for all post-secondary academic work, an official GMAT score report, two personal essays (at a maximum of 600 words each), two letters of recommendation, and a professional resume. International students who earned undergraduate degrees in a country where English is not the first language must also submit an official TOEFL score report and an evaluation of their transcripts provided by an approved translation service. For Philly professionals, the Villanova MBA is a smart choice, providing “solid academ­ic rigor while allowing a degree of flexibility needed for working professionals.” Widely known as the “best part-time program offered in the area,” the MBA is offered on two urban campuses and in two distinct formats. Busy students with demanding jobs will appreciate the Flex MBA, which can be started any semester and allows students to com­plete coursework in three to five years of study. In the Flex MBA, “You can really move at your own pace based on work/life balance, financial readiness, and learning style.” Those looking for maximum efficiency will likely prefer the cohort-based Fast Track pro­gram, which allows you to complete the MBA in two years while maintaining full-time employment. In addition to praising the speedy degree, Fast Track students say “the cohort environment is incredibly beneficial with regards to networking.” For students in either track, the MBA begins with core coursework, including account­ing, economics, and management. After completing the core, students choose electives from a “large variety of course offerings,” and have the option of tailoring their degree by pursuing a specialization in finance, health care management, international business, corporate management, or marketing, or by pursuing a real-estate concentration through the Daniel M. DiLella Center for Real Estate. “Elective courses are outstanding,” and include special “opportunities for international travel and learning” through the over­seas programs; recent trips have taken students to business capitals like Dubai and Milan. Villanova doesn’t stop there: In addition to coursework, students must complete a consulting project with a local nonprofit company, and another with a global corpora­tion. (Note that “the Fast Track curriculum includes a one-week international trip” as a part of the Strategic Management for Global Organizations class, though overseas pro­grams are optional for Flex Track students.) Finally, “The Leadership Development class­es that bookend the program are especially valuable in group work and networking for MBA students.” The faculty comprises both academics and career professionals, so “Some core courses have more academic-oriented professors while some have professors with substantial work experience.” While students might prefer one type of professor to the other, all agree that it’s “a good balance” among the faculty. Just as important, most professors are accessible, friendly, and “really want to help students maximize their potential.” A stu­dent adds, “So far, I have nothing but good things to say about the teaching quality at Villanova. I’ve never had a problem reaching a teacher outside of class, and I’ve never had a professor that I didn’t understand.” That said, The Villanova curriculum was recently revamped, and students mention that, “There have definitely been some serious kinks in the administrative side of the program.” Fortunately, “the staff encourages and actually listens to student feedback,” so problems rarely persist. The Bartley Business Information Center is located in room 1005 in the VSB building. It is staffed by librarians offering expert research consultations on a drop in basis. In addition, Falvey Library offers online access to thousands of top business-related databases, books and journals. The International Student Services Office at Villanova University serves international students at all program levels. The office provides assistance with: immigration rights and responsibilities; educational, social, and personal counseling; cultural adjustment issues; and campus and community activities. 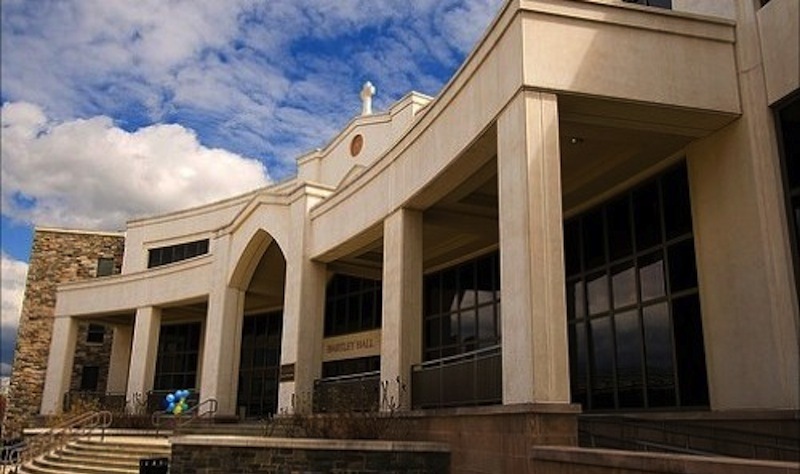 Villanova University's Gay-Straight Coalition is a group of students, faculty, and staff working together to build upon the Augustinian concept of community. In particular, the coalition seeks to foster understanding of sexual orientation within a Catholic Judeo-Christian environment. The coalition is open to students at all program levels. The Center for Multicultural Affairs at Villanova University serves Villanova students at all program levels. The center seeks to ensure the academic and social success of all students, particularly those underrepresented at Villanova in terms of race, ethnicity and family income. It accomplishes its mission through advocacy, diversity education, programming, and promoting organizational awareness and change. Varies by year; destinations may include Argentina, Brazil, Chile, South Africa, China, Costa Rica, Italy, Germany, Belgium, Poland, Malaysia and Vietnam. The Villanova School of Business has a graduate chapter of the national Women in Business organization. Robert J. McCarthy - COO, Marriott International, Inc.
Robert F. Moran - President and CEO, PetSmart, Inc.
Want more info about Villanova University Villanova School of Business Online MBA? Get free advice from education experts and Noodle community members.